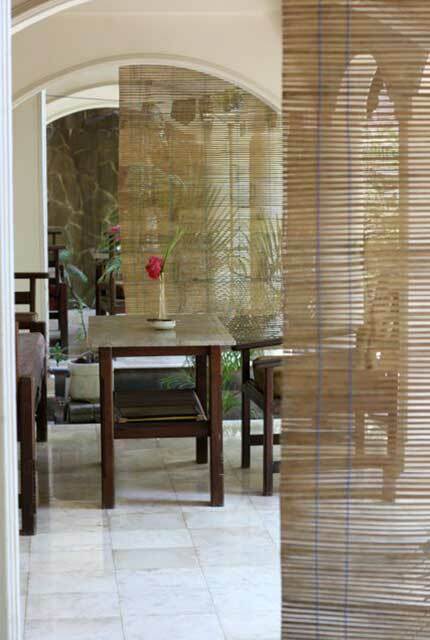 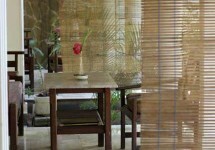 Fitted with a private balcony overlooking the pool, this air-conditioned room is located on the upper floor. 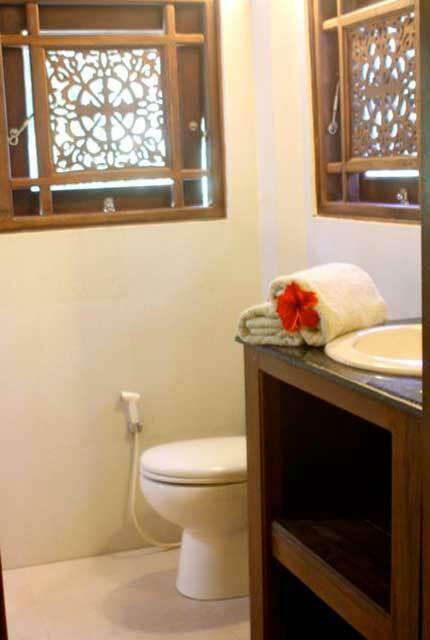 It features a personal safe and a fridge. Hot shower facilities and free toiletries are included in the private bathroom. 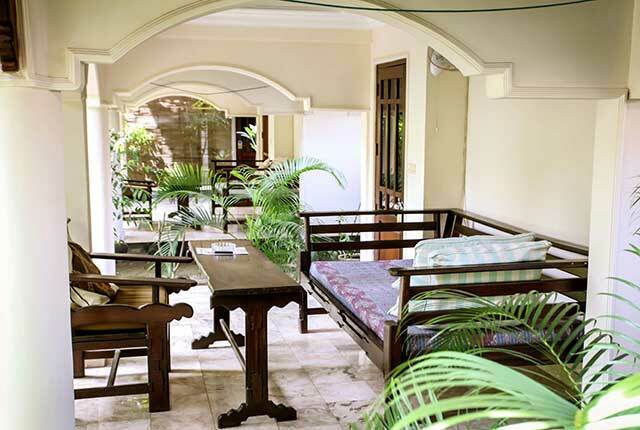 This stand-alone, 2-storey bungalow features a flat-screen TV, fridge and a minibar. 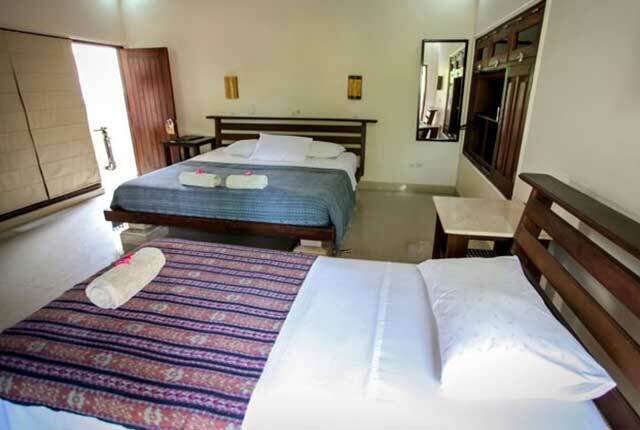 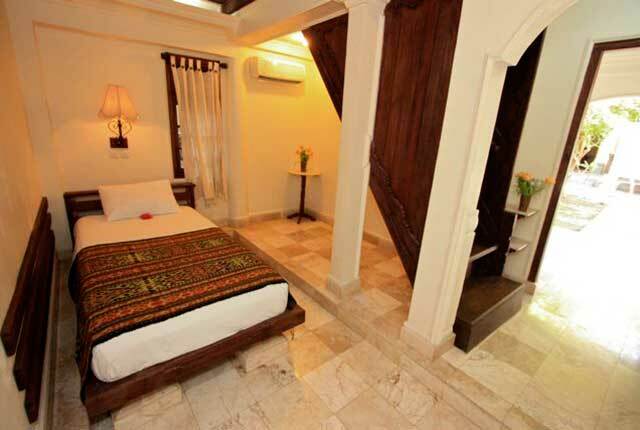 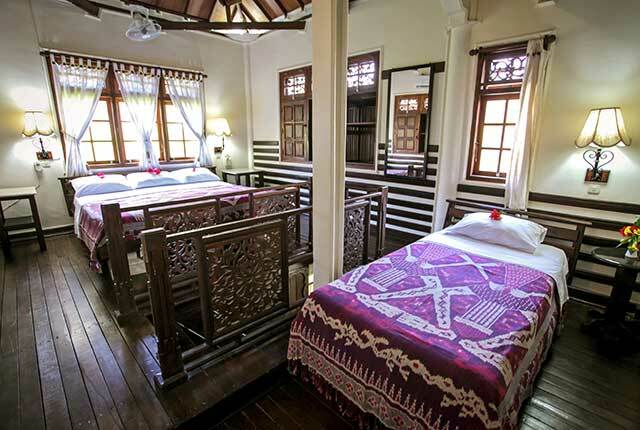 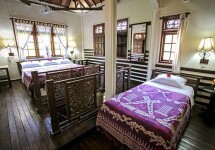 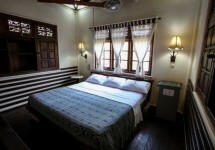 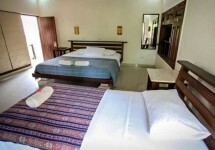 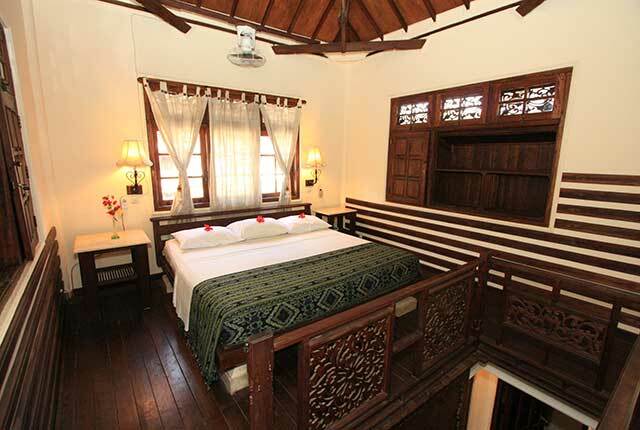 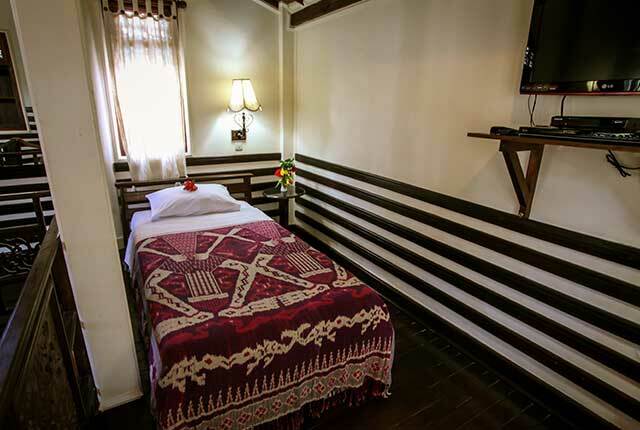 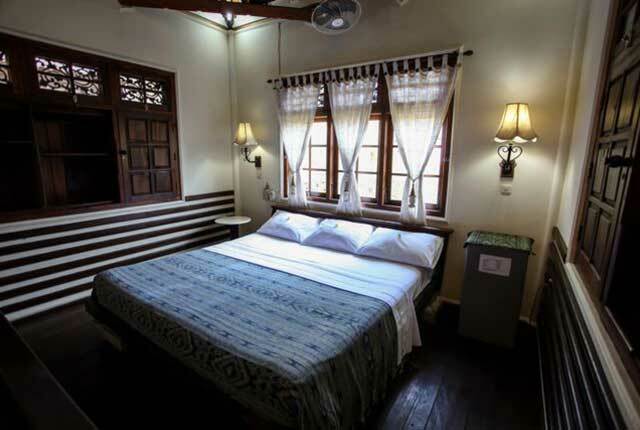 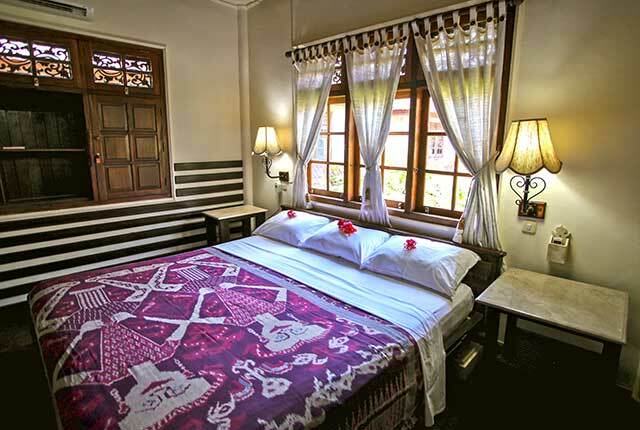 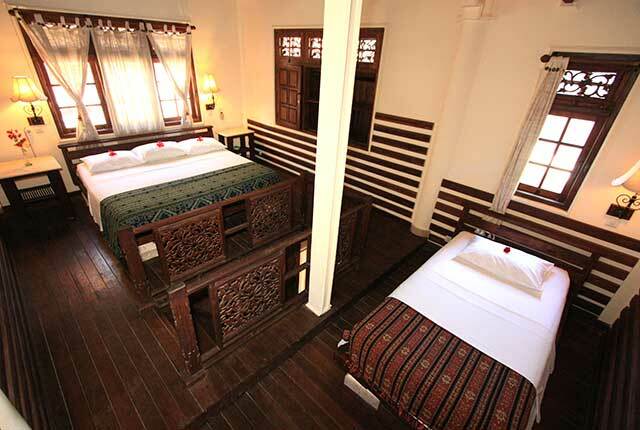 The bedroom is located on the upper floor, while the private bathroom and terrace are on the lower floor. 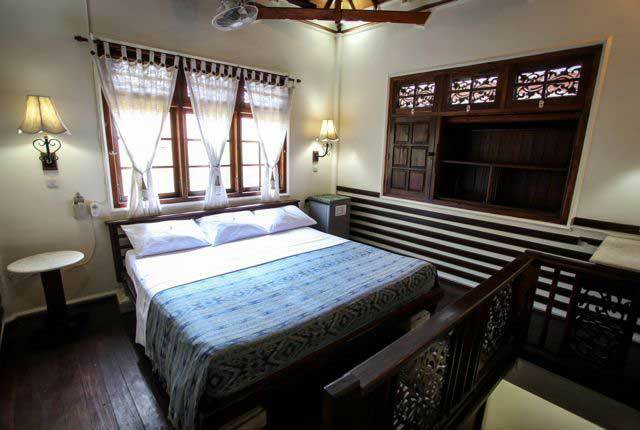 Offering more space, this 2-storey bungalow accommodates up to 3 guests with the bedroom on the upper floor. 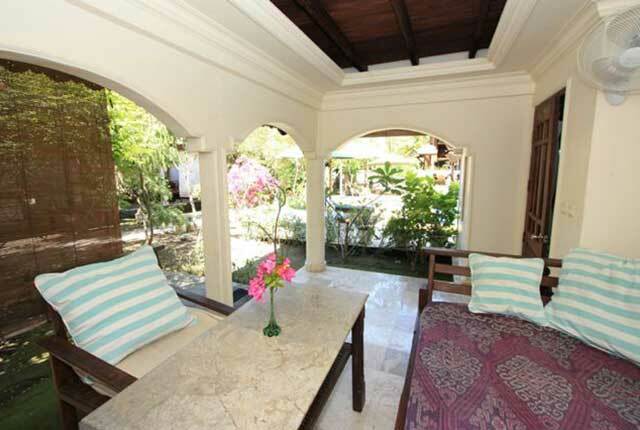 Located on the lower level, the private terrace comes with a daybed overlooking the pool and garden. 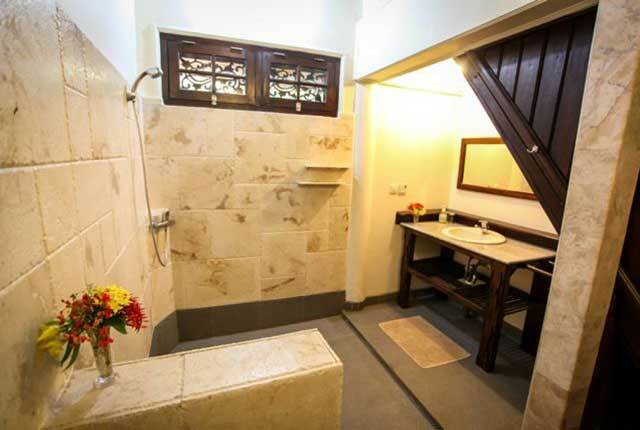 En suite bathroom is also on the lower floor, offering shower facilities and free toiletries. 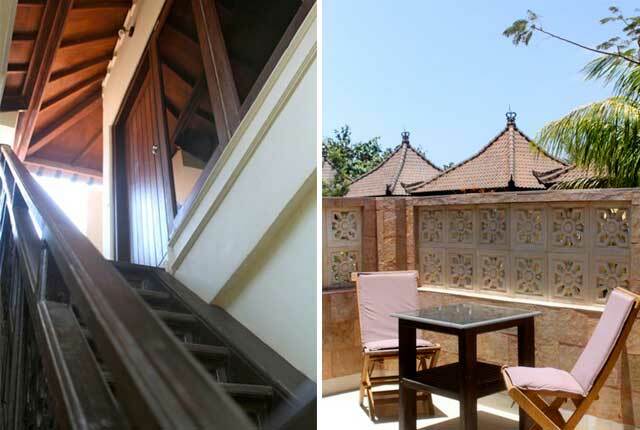 Suitable for up to 4 guests, this spacious 2-storey bungalow has a private terrace with a daybed overlooking the garden. 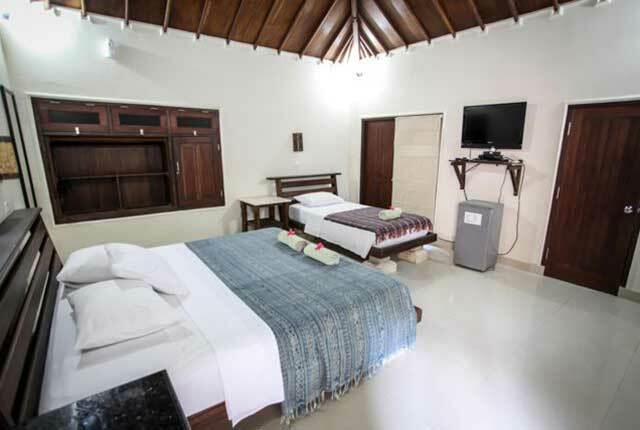 One bedroom with a double bed and single bed is on the upper level, while another one with a single bed is on the lower level. 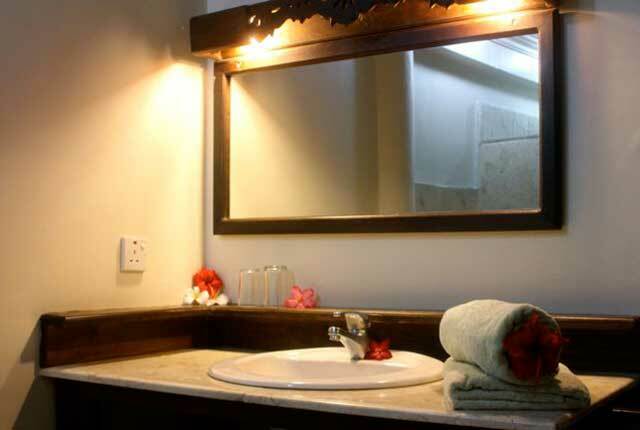 Located also on the lower level, the en suite bathroom offers shower facilities and free toiletries. Suitable for up to 5 guests, this spacious 2-storey bungalow has a private terrace with a daybed overlooking the garden. 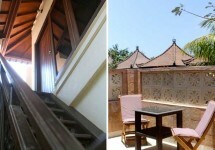 One bedroom is located on the upper level, and the other one is on the lower floor. 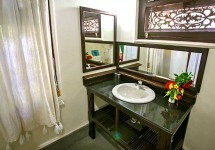 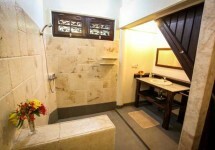 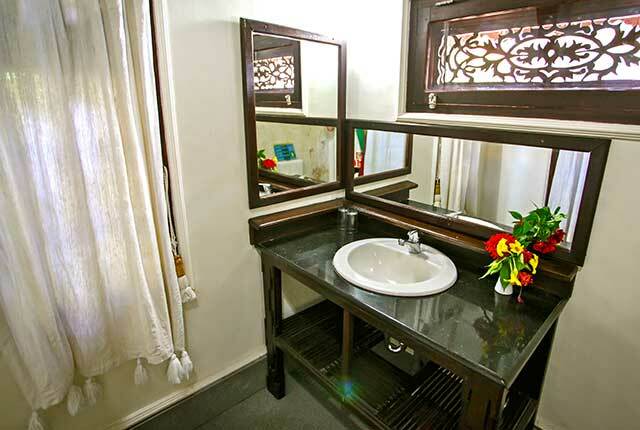 En suite bathroom offers shower facilities and free toiletries.